This Nov. 26 marks the first Museum Store Sunday, the Museum Store Association’s antidote to Black Friday and Cyber Monday. The Honolulu Museum of Art Shops—at its main location on Beretania Street and at Spalding House in Makiki Heights—are two of almost 500 museum stores across the country (in every state and D.C!) participating. Shoppers will get 10 percent off at the register and shoppers who are museum members will get an additional 10 percent off on top of that. The day is about more than generating sales—its goal is to educate the public about the role museum stores play in funding the institutions that house them. 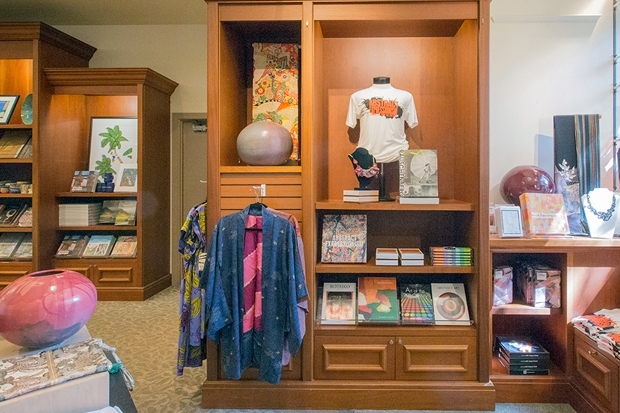 Museum retail operations are not just gift shops. So skip the big-box madness and pick up some thoughtful, well-designed, and well-crafted gifts at the museum instead. Every time you buy even a notecard, your are helping a student go on a free school tour, helping a curator organize a future exhibition, or helping to conserve a painting. Thank you Lesa! I love the Honolulu Museum of Art Shop. Corie and her team do a fantastic job! Museum Store Sunday is now up to almost 700 museum store participants and worldwide in ten countries! Where will you be on Museum Store Sunday?